Which dances are offered in San Antonio dance class? Dancing is a excellent way to express and enjoy yourself. In addition, it is an excellent way to get the necessary exercise. With that said, there are numerous dance classes to choose from. If you approach dance classes without having an idea of the dance you want to learn, it can be overwhelming. There are many dance classes to choose from and they are offered for different age groups depending on experience. Dancing is supposed to be enjoyed. Having some superficial knowledge about the various dances offered from a dance class San Antonio, can make choosing the dance you want to learn easy. Ballet-There are multiple ballet classes offered based upon your age. For the beginners Ballet I, you can expect to learn barre, center, and across the floor. You will also learn proper body alignment as well as beginning vocabulary. In Ballet II, there will be a greater focus on building muscle strength and memory. Ballet III dance class San Antonio will be the most rigorous and pointe will be learned. Pre-pointe-It will be necessary to prepare for pointe and this why pre-pointe class exists. There must be preparation before entering advance ballet. Modern-This class will teach you improvisation and Rudolf Laban Technique. The beginners will learn techniques from Graham, Horton, Hawkins, Limon and Duncan. 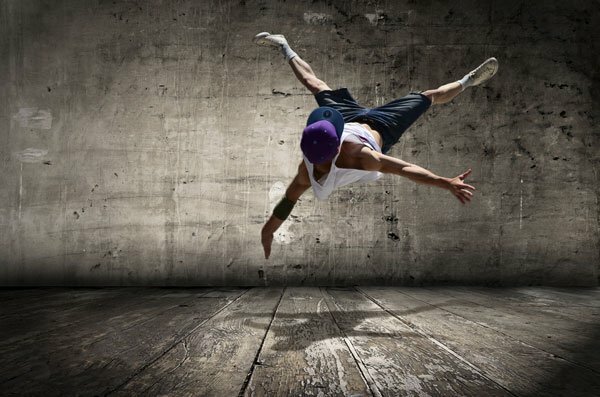 Hip Hop-These classes will come in beginner to advanced levels. Here, you will be taught across the floor and technique in centre as well as old school and new school dances. In the advanced class you can learn the different east and west coast styles. Also, there is a hip hop heels class. Urban Express-This class is offered for adults. There are a lot of combination movements that will focus on the core, which will provide an entire body workout. Tumbling-This is a great way to get youngsters involved in dancing at a very young age. It will teach young children strength and flexibility. It will also help them get the exercise that they need at a young age. Specialized Dance Groups-Often, there will be dance groups that can be joined after an audition and acceptance. Once in the group, you will have mandatory rehearsals and meetings. Mommy and Me-These classes focus on children that are under the age of 3 and their mothers. It is a great time to bond with a child. These classes include sing a longs and creative dances. Combo-There are various levels of combo that will focus on different age groups. Combo allows you to experience different types of dances in one class. These classes will include ballet, tap, creative dance, and singing. Also, the older age groups will learn jazz and tumbling. Tap-These classes will focus on proper technique and creating the correct sound. If you are unsure which dance you would like to do, then look into the combo classes that way you can be exposed to numerous dances. When you go to dance class San Antonio, you will be able to experience the fun and relaxing atmosphere that it offers. In addition to the different classes discussed above, there are also classes for specific occasions, such as quinceaneras . These celebrations are focused around the young lady’s first dance. A lot of preparation and choreography lessons pave the road to a successful quinceanera celebration. What are drop in dance classes? Drop in dance classes have allowed individuals a lot of flexibility when wanting to find time to dance. We live in a busy world. Too many times we are overscheduled, while running from one appointment to the next. When we can have things in our lives that are not on a strict schedule, it makes it easier to fit them in. Drop in dance classes are the answer to busy life schedules. This will allow you to stop when you have time. No matter the reason for dancing, whether it be a hobby, for a special occasion, or for exercise, you will have control of when you want to go to dance class San Antonio. On the other hand, other people may do better with a strict schedule instead of a drop in schedule. If the dance class is something that they can pencil in, then it may be easier to remember and attend the class. A certain dance class San Antonio may be offered at the same time every week. This makes it easy on you. Knowing that the class is the the same time every week, for example every Thursday afternoon at 4:00 pm, can allow you to get in a routine. Jewel of Art Dance offers many classes at various times throughout the week. They have created an easy to follow schedule that lays out when the classes are offered each week. On their website under the classes offered, they have times and dates each week that specify exactly when a certain class is being offered. You can spend as little or as much time as you want at these dance classes. However, the time spent will determine the amount of money that is owed monthly to the dance studio. Aside from the cost of the classes, drop in and scheduled classes are a way to have fun and relax from a busy schedule. How much are dances classes? A San Antonio dance class may cost different amounts depending on the number of hours that you dance each week. For example, Jewel of Art Dance has different prices for those who spend only a few hours a week at the studio in comparison to those that are spending many hours at the studio. In addition, many studios will have an annual registration fee. Usually these fees are not too burdensome and come in as a minimal cost to be able to dance all year. Typically, dance classes will cost anywhere from $50 to $300 a month. If you look at this, it may seem like a lot a month, but in all reality you and your child are receiving more than dance instruction. Your child will be able to make friends who have similar likes and goals. Also, dancing is a excellent way to get stagnant youth to exercise and have a lot of fun. With exercise comes higher self-esteem and less anxiety in other areas of life. Dancing at a dance class San Antonio is fun and exciting. It is also an excellent way to get the exercise that you need. There are many dance classes to choose from. There are also many age groups that can dance. Dance studios also have family rates. This allows families to spend quality time together while dancing their favorite style. A small payment every month will bring you the joy and happiness that can come from dancing. Also, learning the right technique and steps to traditional dances is very important for celebrations like weddings and quinceaneras.